Prime Minister Ranil Wickremesinghe declared open the building of the Faculty of Graduate Studies at the University of Colombo today. 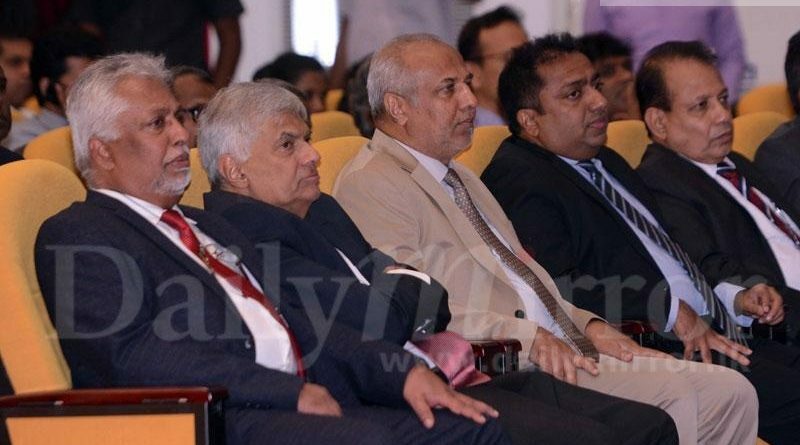 Cabinet ministers Rauff Hakeem, Akila Viraj Kariyawasam and the Vice-Chancellor of Colombo University Senior Professor Lakshman Dissanayake also participated in the event. ← He was just politicking then!